The Victory team first appeared on the Class 1 scene in 1992 as guest entries in the final two rounds of the championship finishing first and second. Since then the team has gone on to become the sports most successful competitiors with world titles in 1993, 1995, 1996, 1999, 2000 and 2001. The team also has an incredible record of 51 wins, 5 European Championships, 5 Pole Position Titles and 2 Middle East Championship. 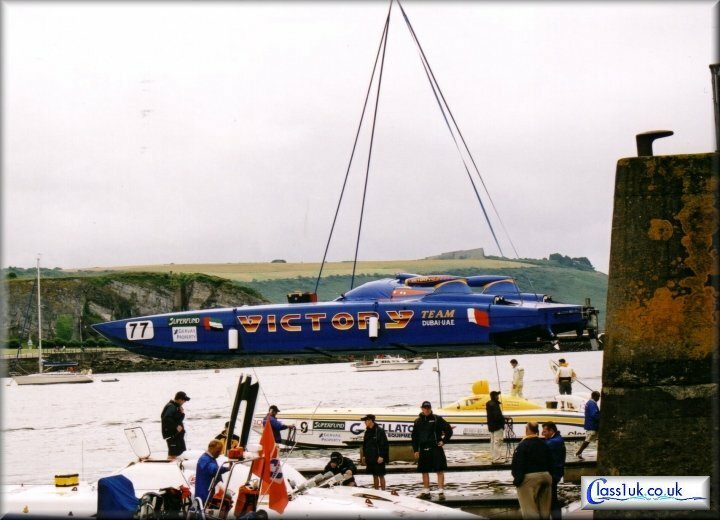 The team is not only successful as a competitor but also as a boat manufacturer. Most of the top teams have Victory built boats based on Michael Peters designs. In recent year Spirit Of Norway has dominated the sport but with the Dubai Government as the team owners of Victory will be looking to get back to the top in 2006.